Bill Broadbent, Jr. has a long track record of superior achievements. Even as a teenager, Bill demonstrated the ability to innovate and succeed. One of his very first jobs was as a hot dog vendor at Anaheim Stadium. On Bill’s first day of work, he acquired the all time hot dog vending record. In fact, he more than doubled the record previously set. His strategy then, as it is now, Teamwork! Realizing that people can’t eat a hot dog without something to drink, he grabbed an available soda vendor and said “follow me.” That was only the beginning of his unmistakable leadership skills. Bill’s first full-time job was doing outside sales with The American Millionaires Club™ – a pioneer firm in the dating service business. After quickly becoming a top sales representative in the company, he was promoted to become the youngest office manager in the company. Bill’s first assignment was managing an office on the brink of failure; where he grew sales by nearly 300% in less than six months. He was so successful with that; the company began to use him as a troubleshooter, where he set sales records for every office he worked with. Bill’s constant success at AMI led him to be recruited at the age of 27 as the National Sales Manager for Together Dating Service. Bill took Together, a firm that it had taken over 15 years to hit $8 million in sales, to a run rate of approximately $40 million in less than 3 years. He became a partner in the company’s new store openings and later an independent franchisee, opening up several stores throughout the US and Canada. He left Together to start his own dating firm, Perfect Match, which became the top dating service in the New Jersey/New York marketplace with revenues approaching $10 million annually. Bill’s successes as CEO of Perfect Match were not limited to revenue. He created many industry breakthroughs including the design of Perfectlinq, the first broadband video matchmaking system. While continuing to fulfill his CEO role at Perfect Match, Bill decided it was time the dating industry embrace the Internet. He began research and testing various methods of marketing online. In 2002, Bill found the Internet so promising, he exited Perfect Match to start Instinct Marketing. 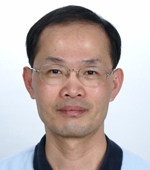 Yung-Yao was appointed Director of Information Technology at Instinct in April 2006 after time spent in IT consultancy for Cisco Systems, Inc. and Interloper.com. He brings with him an excellent performance record in the application of cutting edge technology and counts among his many achievements the implementation of a dynamic E-Commerce system for Interloper. By replacing the original static system with Yung-Yao’s new design, the company changed their business model forever - and significantly increased their revenue. Possessing a truly exceptional knowledge of programming and system interfaces, Yung-Yao is an invaluable asset to the company having skillfully and seamlessly overseen technology for almost four years. A native of Taiwan, Yung-Yao holds masters degrees in Computer Science from the University of Texas at Arlington and in Mathematics from the University of Texas at Austin. Yung-Yao’s expertise and continual success earned him a promotion to Vice President of Technology early in 2010.